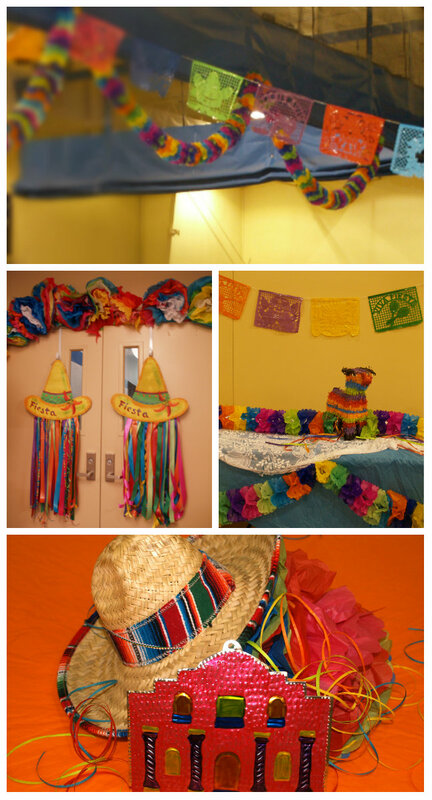 A fiesta theme party is perfect for Cinco de Mayo, graduation, or as Taco Sunday for youth to raise money for camp. 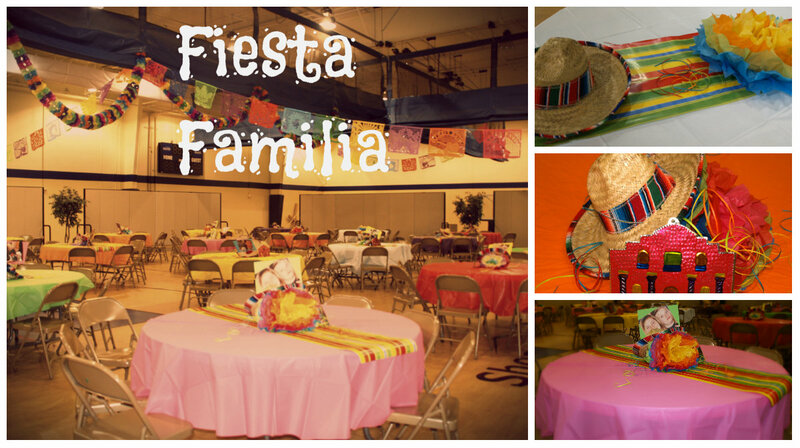 This past Sunday we held a Fiesta Familia Taco lunch at our church. The youth help decorate,cook, serve, and clean up to raise money for camp. This year the theme for camp is “Famunity”-Family and Unity and they will be walking through the book of Genesis. The idea of Family and the timing with the end of Fiesta in San Antonio inspired our Fiesta Familia! @Pinterest was a great place to start for decorating ideas and inspiration. Be sure and follow all of our ShowMeDecorate boards on @Pinterest. Fiesta is all about vibrant colors and whimsical touches! It’s great when you can beg, borrow, or steal(ok-not really I bought) your decorating ingredients. 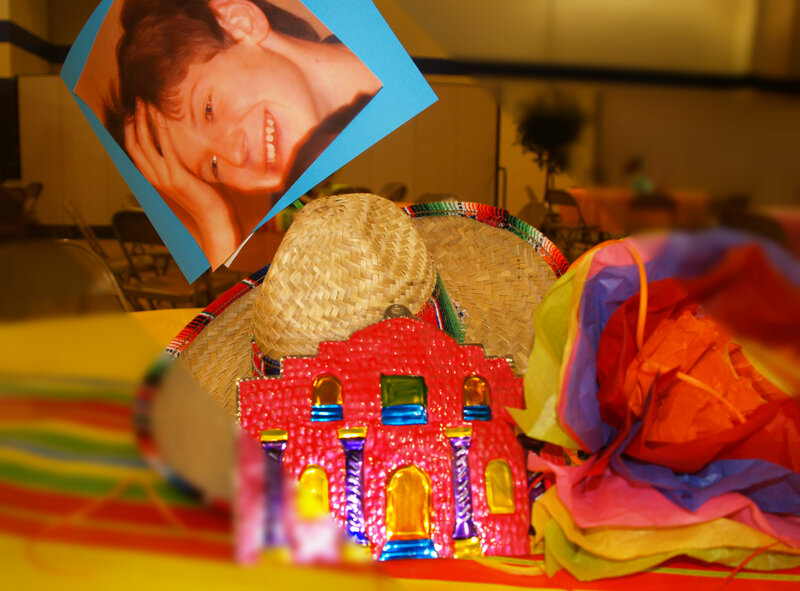 This year, we were blessed that our church had 20 sombreros and colorful metal Alamo’s that we used on our table tops. I purchased the traditional Fiesta flags and floral garlands. We topped the tables with a variety of colorful table clothes. Then we cut wrapping paper that resembled a serape as our table runners. We made our #Fiesta flowers and were inspired by @AuntPeaches. To personalize, print out pictures and use as part of centerpiece. This would be great for a #graduation party or a #birthday party. The youth loved seeing themselves and remembering the great time they had at camp last year and it helped personalize it for our church members. When you are decorating a huge area like a gym on a minimal budget, it’s hard to make an impact. With bright colored Fiesta flags and Floral accordian garland, we were able lower the visual sight a little. 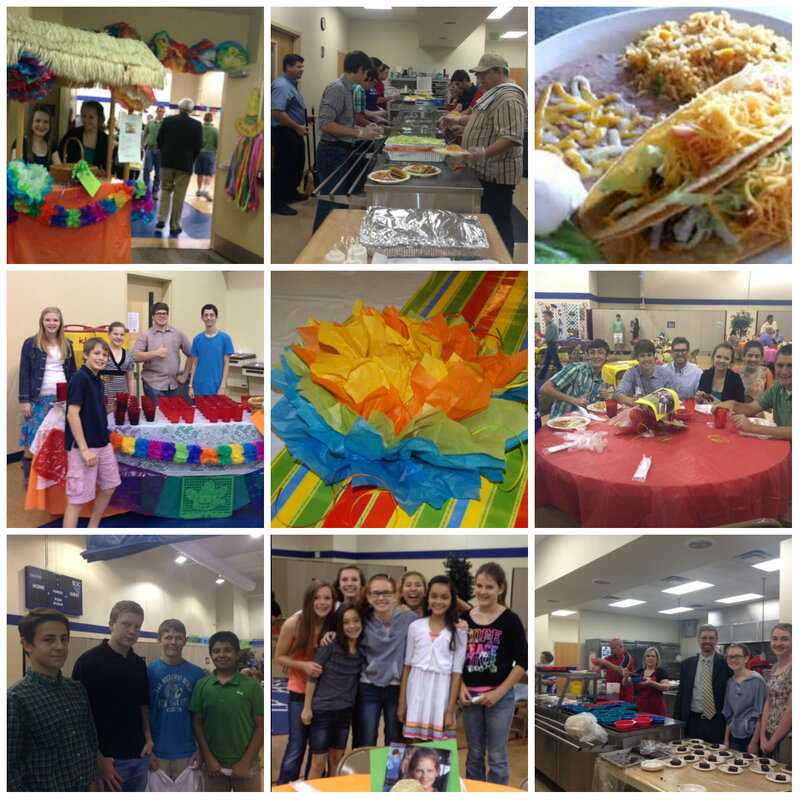 Our Fiesta Familia was lots of fun and it was great seeing the youth serve and participate. If you liked this blog, please leave us a comment and share with your friends!